Buldara is a food and nutritional supplements manufacturing company, which has a mission to increase food culture in the society and give prerequisites for people’s heathy development and existence. In order to provide a convenient and easy way for Buldara’s customers to purchase wanted products, Tendrik designed a new online store for Buldara, based on one of the most popular e-commerce platforms– OpenCart. The reasons we chose OpenCart are numerous. The platform has a modular structure, provides a large range of possibilities, and also has a convenient and intuitive user interface and easy navigation. It allows retailers to manage their online store easily and independently, too. The online store has a responsive design compatible with different web browsers and is accessible through any mobile and desktop devices. It has a free chat client (Zopim Chat) where users can send queries to the administrator in real time. We wanted to facilitate the customers of Buldara, so the website offers the opportunity of making an order with registration with Quick checkout, as well as paying with credit/debit card or PayPal. 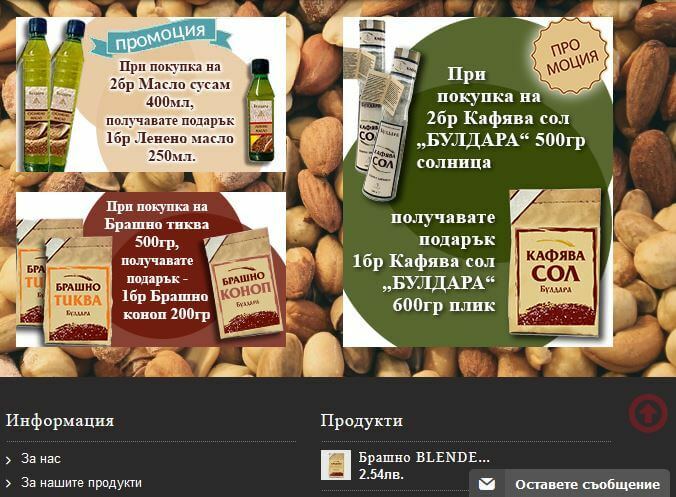 What else did we develop for Buldara’s online store? We added social media buttons for easy contact and faster content sharing. If you like our products and would like to use our services, don’t hesitate and contact us.